As a result of a power outage last week my home lab needed a reboot as my 2 x ESX D530 boxes didn’t have auto-power on setting set in BIOS, so I dutifully braved the snow to get to the garage and power them on manually. However nothing came back online.. ESX started but my VMs didn’t auto-restart as it couldn’t find them. The run up to xmas was a busy month and I had vague recollections of being in the midst of using storage vMotion to move all my VMs away from local storage to an OpenFiler VM in preparation for some testing. So my domain controller/DNS/DHCP and Virtual Centre server were stored on the OpenFiler VM which my ESX box was running and accessed over iSCSI. 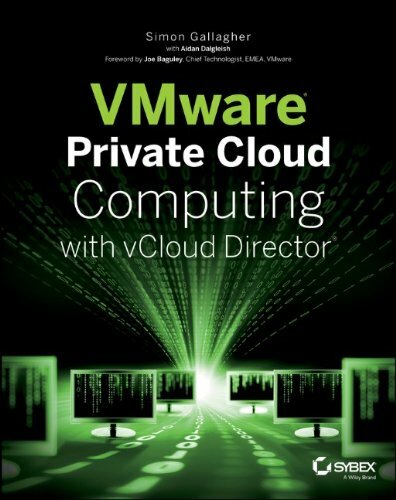 As such when ESX started it couldn’t locate the iSCSI volume hosting the VM and couldn’t start anything. 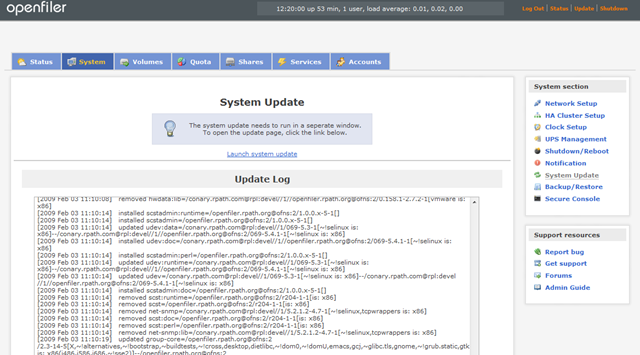 OpenFiler couldn’t start its web admin GUI if it couldn’t get an IP address, nor would it mount the shared volumes. I thought this was a bit odd, and maybe I was looking in the wrong part of the UI, but sure enough it was the correct place. I tried updating it to the most recent software releases via the handy system update feature, which completed ok (no reboot required – beat that Windows Storage Server! :)) but still no NICs showing up, even after a couple of reboots to be absolutely sure. note as part of my initial troubleshooting I added a 2nd virtual NIC to the VM, but the principal should apply regardless. 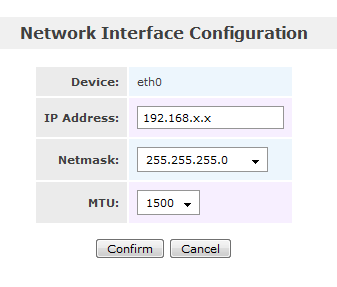 And I can now set a static IP etc. I had to reboot my ESX host to get all my VM’s back from being inaccessible, I’m sure there is a cleverer way to do that, but in my case I wanted to test that the start-up procedure worked as expected now that I’ve set a static IP and re-jigged the start-up sequence so that OpenFiler starts before any other VMs that are dependent on it for their storage. Why not use a EMC Celerra simulator rather than openfiler?????? Would like to actually. but I’m limited in that my D530 box only has 4Gb RAM, the EMC vm needs 2Gb and that would max it out for me; fear not there is an upgrade to an ML11x in it’s future so will definitley give it a go. 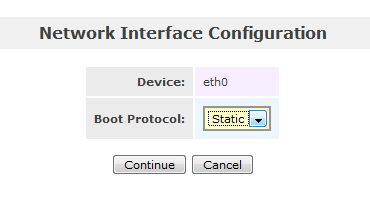 a simple fix to the VM problem is to remove the NIC, then add a new one! !